Ants societies parallel human societies. Both be made up of colonies exceeding millions in number, with each individual member having a unique identity but works collectively to thrive and growth. In the past, language, rituals and other ethnic traits help to form these human societies. Modern technology and transportation has assisted in transforming recent generations from these ethically-homogenous society to more multi-cultural societies by bringing us close together and encouraging cultural diversity. 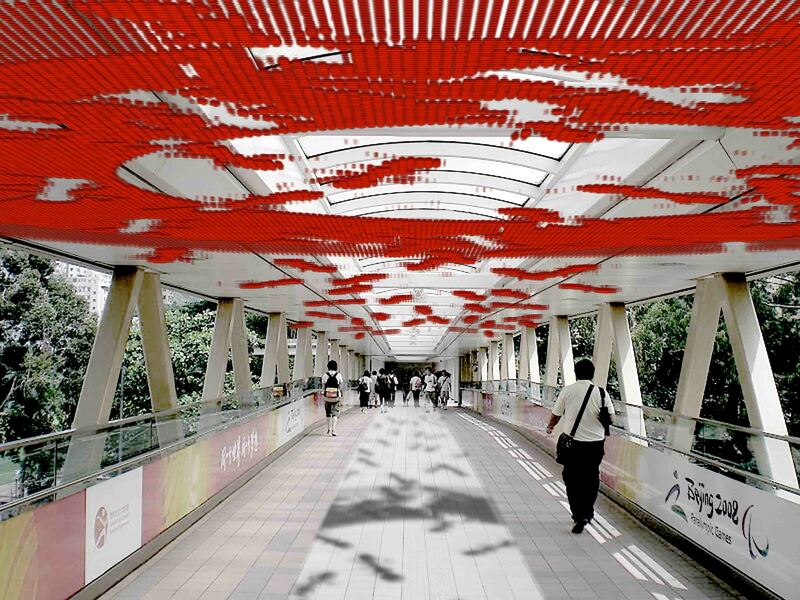 Hong Kong is a multi-cultural society and this artwork proposal is based on our dual heritage. The circle is a symbol to show that we are all together one place. The ants represent the people and their random positioning on the artwork symbolises the individuality of each person. When the sunlight shines through the artwork, a projected image appears on the floor showing two levels of ants – our dual heritage. The big circle and walking direction of the ants signify the MTR entrance. 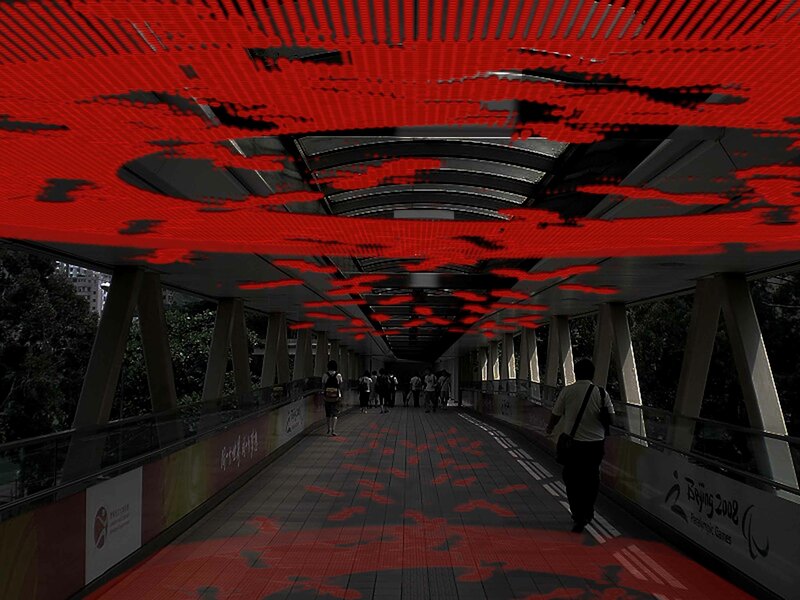 Its strong colour and large size notifies passengers walking on the street of the entrance location. 螞蟻的社會跟人類的社會很相似. 兩者的人口眾多, 雖然每一個人或蟻皆是獨立個體, 但都是過著群體生活,令各自社會更繁榮, 成長. 以前人類透過語言, 儀式或其他種族性的因素聚居起來, 隨著科技進步及交通的高速發展, 大大改善人類的生活, 將人的距離拉近, 由單文化到多元文化社群. 香港是多元文化的社會, 本作品的概念是來自我們雙重文化的背景 .圓形表徵著我們凝聚在同一地方, 螞蟻代表我們的群體生活及獨立性, 當陽光照射到作品, 本體及其影子便形成了兩個影像 – 雙重文化. ← public art – run!